There is no doubt that blogging has emerged as a powerful tool for individuals and businesses to communicate their opinions and expertise on the web in recent years. A quick and cost effective way of pushing out fresh, relevant content that your customers want to read, it’s a great way for startups to engage with followers, build their online presence and generate more business leads. Here are five reasons why creating an actively managed blog should be included in the website design specifications for your startup. For any business, a steady flow of business leads is essential to ensuring long-term growth. This is tricky for startups that are new to their respective industry fields and don’t yet have the footprint of more established competitors. Blogging helps to grow your business by allowing you to build your credibility online with regular posts about the subject in which you specialise. By making posts relevant and useful to the people that look for the products and services you provide you will start to attract regular visitors to your blog, who you can convert into sales leads. Studies have shown that over 60% of businesses with a blog acquire more customers than those who don’t. Don’t underestimate the power of storytelling. Running a business blog gives your startup the chance to communicate in a way that will reel in your audience. It lends authority to your business messages and helps you to establish your own personality online. Social media has further increased the value of blogs in this regard. It has never been easier for startups to set up a blog on their website. 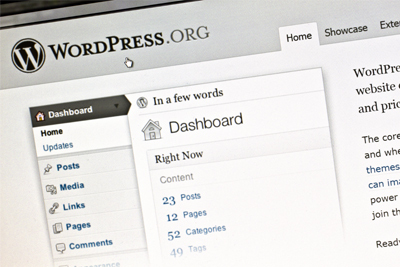 Building a WordPress platform for instance, requires little in the way of technical skill and you can run one on a very low budget or even for free. Once you start blogging, there are extensive developer communities to help you with any issues you might encounter along the way. Not only does it allow you to communicate with more customers, but blog analytics gives you an insight into trends and what resonates well with your audience. You can refine your posts according to conversion ratios to increase your sales. View your blog as free publicity for your startup. Regular business bloggers are often interviewed by publications covering their fields, which is a sure-fire way of quickly building awareness of your brand. Blogs are an extremely effective vehicle for demonstrating to users that you have your finger on the pulse regarding the trends that matter in your industry. The Company Warehouse can set up a blog for your startup as part of our website design packages, while our managed social media offering can even include the writing of regular blog posts on behalf of your business. Call one of our team to discuss your requirements today on 01245 492777.